I found myself in a meeting on friday struggling with colleagues on how to integrate our impactful work in community from the time a child is born all the way until he or she leaves for high school ready. My head hurt at the end from struggling to unbundle the complexities. 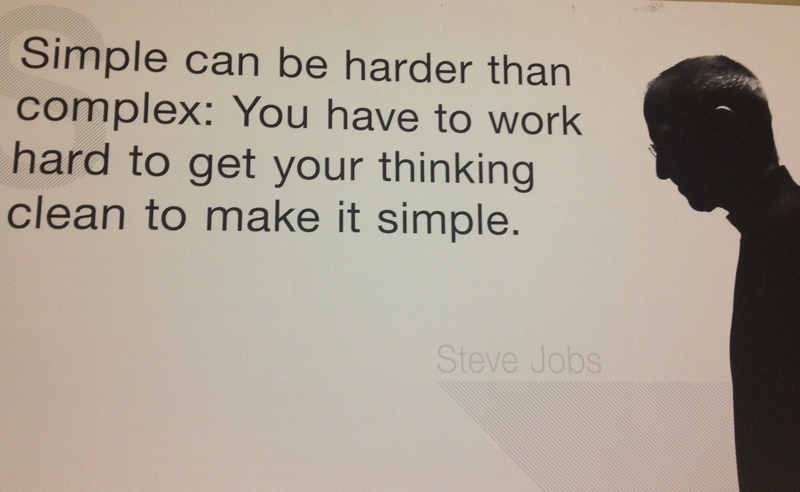 Later I thought about the quote above from Steve Jobs. Next Design + Social Impact: Why Do They Belong Together?